This kit is identical to the INM Wedding Kit, but without the binder. The kit contains information on how/where to obtain a marriage license, check list for Notaries, contact information regarding laws on how to perform weddings, processional samples, samples of ceremonies and renewal vows, wedding contact sheets, certificates of marriage/renewal of marriage, and much more. 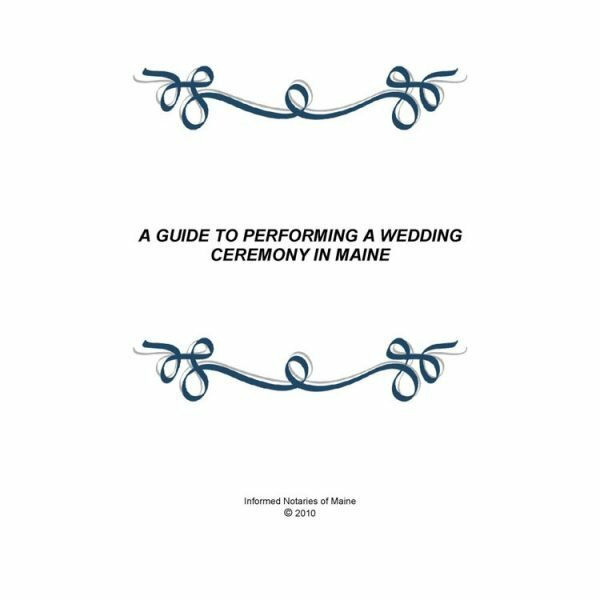 With this 50+ page kit you will be well prepared to answer questions and perform a marriage ceremony in Maine.